The Sugden Masterclass LA-4 Class ‘A’ Line Pre-Amplifier is a line level stereo pre-amplifier with authority, finesse and the capability to develop a sound stage with imaging, dimensional realism, and time/space elements in perfect harmony. 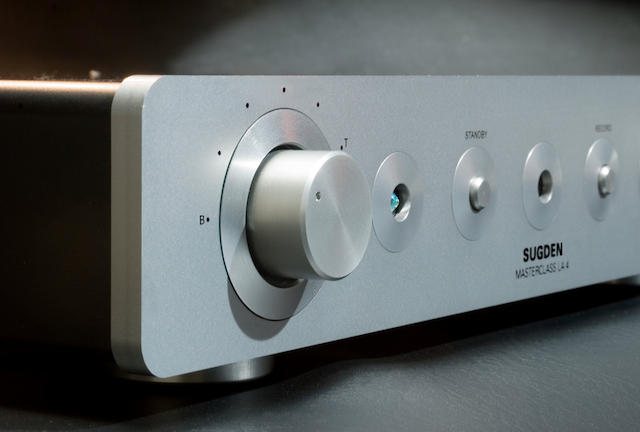 The pre-amplifier’s primary function is to deliver more music with neutrality to allow end users to choose mating components and obtain customised performance. The LA-4 was developed to complement the Sugden Masterclass Power Amplifiers and at its heart has dual mono, DC-coupled, Class ‘A’, current feed back gain stages. The electronic circuitry of the LA-4 has been developed to offer the best possible sonic performance without compromise including the use of specially selected transistors and capacitors to provide the best signal preservation. Attention to detail such as gold plated circuit boards, high grade silver signal wiring, silver soldered components and precision gold plated relay switching. The gain stages are each powered by current shunt differential power supplies, which enable the fastest transients and most powerful crescendos with true musical empathy. Every LA-4 is individually hand made by a single highly skilled technician, each sub assembly undergoes testing prior to final assembly, receives a “burn-in” and final specification check before packing and is your guarantee of a product of the highest quality. 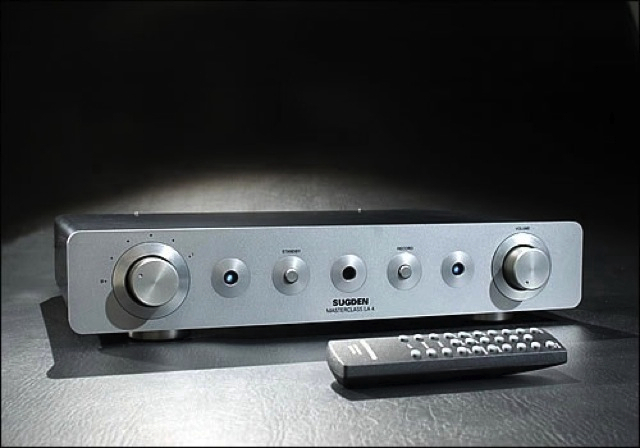 The LA-4 has provision for stereo pairs of balanced inputs (XLR), four single ended Phono/RCA inputs, a By-Pass input, Input and output recording facility, two main pre-amplifier outputs and a balanced output (XLR). Inputs – Four line level inputs, one tape inputs, one balanced input and bypass input. Outputs – Two line level outputs, fixed tape output and balanced output. Volume Control – Motorised remote control RC5 compatible. Recording – Tape output defeat. Input Sensitivity – 100mV for 1 Volt out. Maximum Output – 10 Volts. Frequency Response – 15Hz to 30kHz +/- 0.1dB. Bandwidth – 6Hz to 300kHz +/- 3dB. Distortion – <0.006% @ 1kHz, 1 Volt out. Overall Dimensions (including terminals) – 90mm x 430mm x 355mm (HWD). Recommended Retail Price – AUD$5,395.00.